Tree Profile for the Frontier Elm - Urban Forest Nursery, Inc. 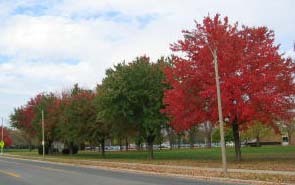 Given the vigor and tolerance of most elm trees, several new cultivars should be back on our preferred street tree lists. But how do we compare them? New disease and insect resistant varieties seem to be popping up all over. There are so many with different forms, textures, and other qualities, where does one start? What has your experience been with this tree or others? Let me know!